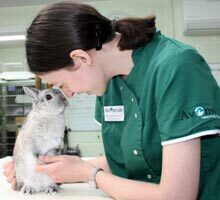 Avonvale vets have been caring for animals in Warwickshire for over 35 years. We have surgeries in Warwick, Southam, Kenilworth, Wellesbourne, Stratford, Cubbington and Heathcote. Each surgery is under the care of a senior veterinary surgeon, assisted by a team of qualified and experienced vets and nurses, dedicated to looking after your family pets at a location which is convenient for you. We understand the special relationship that people have with their animals, and are committed to providing the quality of care and individual attention that you would expect for a member of your family. We offer a full range of professional health care services for your pet in a friendly environment and, wherever possible, with the member of staff of your choice. All our staff are dedicated to your pet’s welfare and will be happy to help with any questions you have concerning health care.